If there was one thing that Pete and I were most excited about on this journey to Southeast Asia – it was the food. Pete fancies himself a chef-in-training (rightly so, he is a very excellent cook), and his default meals are always Asian inspired: stir fries, curries and the like. Thus one of the first things we did upon arrival in Cambodia was uncover some of the prominent local dishes, and get to tastin’. 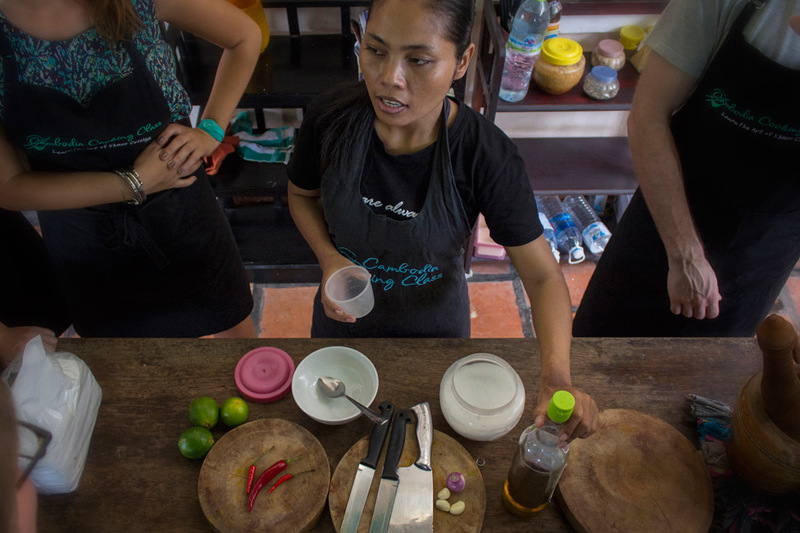 And when we were done tastin’, we wanted to get to cookin’, and so we quickly signed up for a Khmer cooking class. On the menu, the local specialty of amok and the universal favourite of spring rolls! For all the intensive ingredients in this dish, it actually was not all that difficult to make (or so says us class participants who had most of the ingredients just handed to them). 5 dried red chilies: soaked, drained and chopped into a paste. (Or, use how many you want, depending on level of spiciness desired). 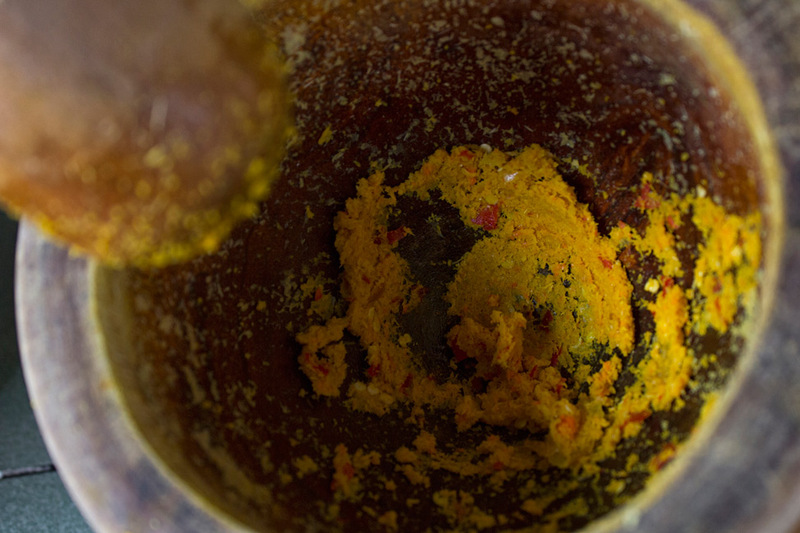 Combine the first seven ingredients in a food processor and blend to a thick paste. Alternatively (more traditionally and definitely more badass), use a mortar and pestle and work those biceps. Stir the above (called the kroeung) into 1 cup of coconut milk. When it has dissolved, add the egg, fish sauce, and protein. Then add the remaining coconut milk and mix well. 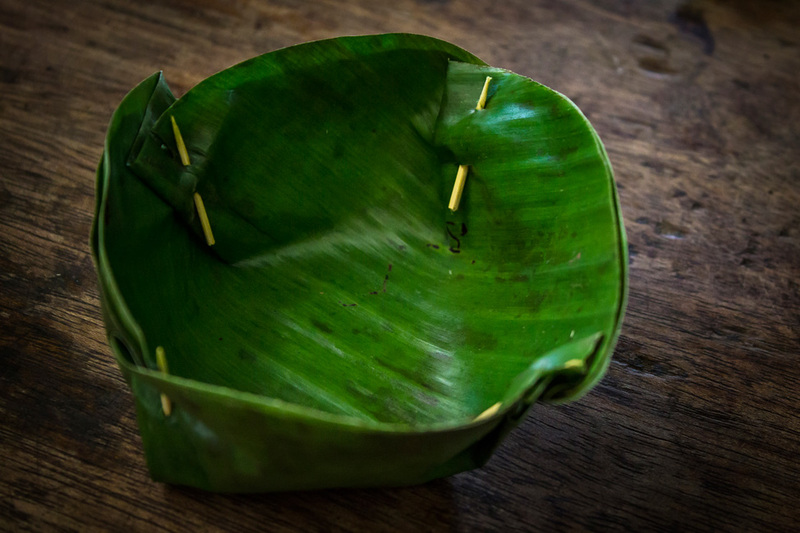 Make banana leaf cups (if so inclined, or ceramic bowls can be used) and add the mixture. Steam for 15-20 minutes, then put the coconut leaves on top. Steam further until the mixture is solid, but still moist. I’m not gonna lie, there have been an awful lot of spring rolls consumed by us in Cambodia. And we found their “stuffing” to be unusually simple compared to others we’ve eaten our lives. While other items (and proteins) can be added, the basic filling has only shredded taro root and carrots. The shredded taro root needs all juice removed, or else it can cause burning in your mouth! (Did not know that.) After shredding, place in a large mixing bowl and add salt to bring out the liquid. Squeeze it out and rinse in clean water, this may need to be done repeatedly until the water is clear (we did it three times). Then mix with carrots, and season with sugar and pepper to taste. Pre-form the mixture into separate rolls. 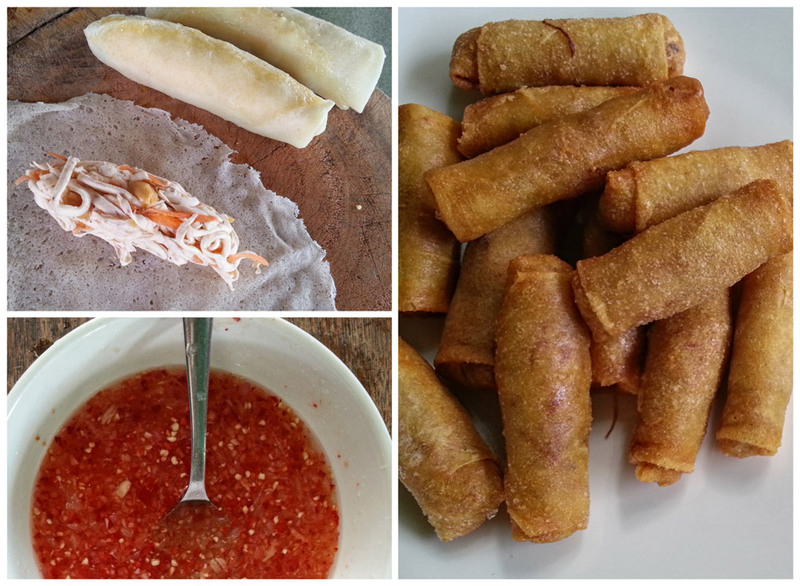 Lay a spring roll sheet flat on a cutting board and place the filling roll at one end. Roll it tight and seal the end with the beat up egg. 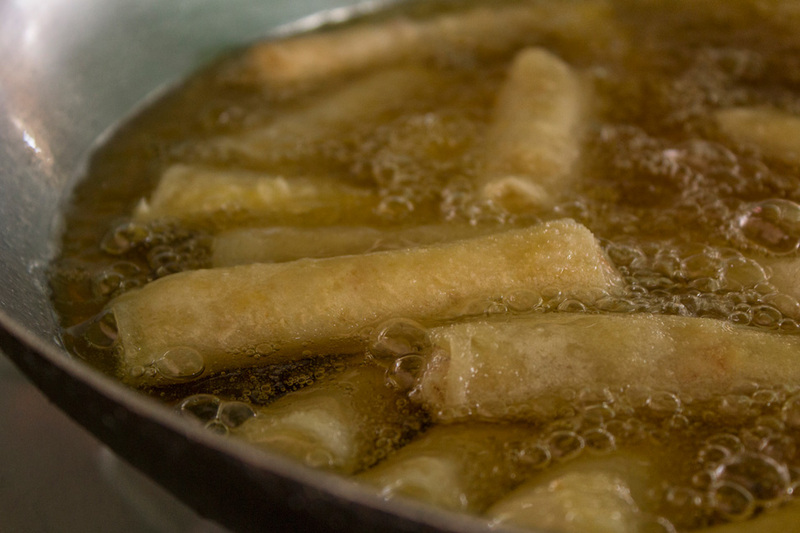 Heat the oil on high temperature, then turn it to medium, and place the spring rolls inside. Turn them frequently until golden brown. Remove, let cool, and devour. Crush the garlic. Add sugar, salt, hot chilis and red pepper. Stir well and add water, fish sauce, lemon juice. Mix well. Serve with peanuts sprinkled on top. No one said these were healthy. YUM! OK, spring rolls are delicious and amazing and whatnot, but oh amok amok amok! 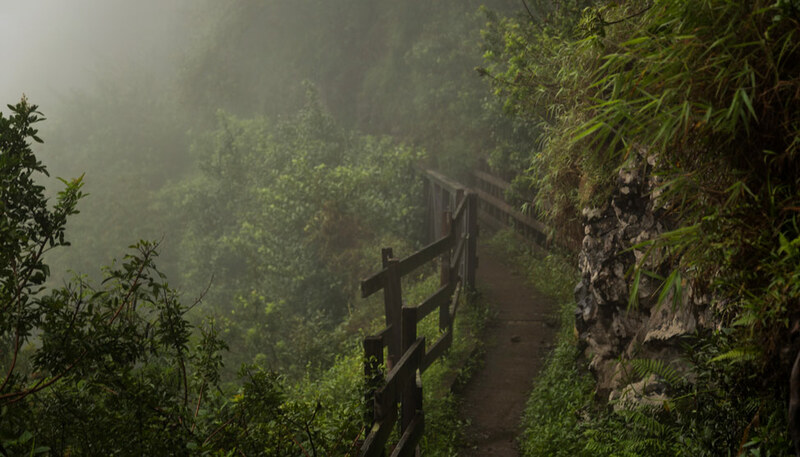 The memories are enough to make me dizzy. We ate so much fish amok in Cambodia I feared for the country’s fishing quota… Stellar photos, comme d’habitude. Thank you and good luck! Yes Amok was certainly one of my favorite dishes by far. Cambodia is not typically known for too much spice in their food, but the taste of this dish was INCREDIBLE! YUM! so cool to see how spring rolls are made! I’ve been waiting to learn for a LONG time, now I know the amount of effort goes into these rolls of deliciousness! Yeah, I hate being in a place that doesn’t have Asian food. Roatàn was especially difficult for that reason. It’s dinnertime in India and I had no business reading this post on an empty stomach 🙂 Well done, you guys. haha, I’m hungry now too looking back on this post! I took the same cooking class and loved it. Actually I took it twice, but with different dishes to learn each time. 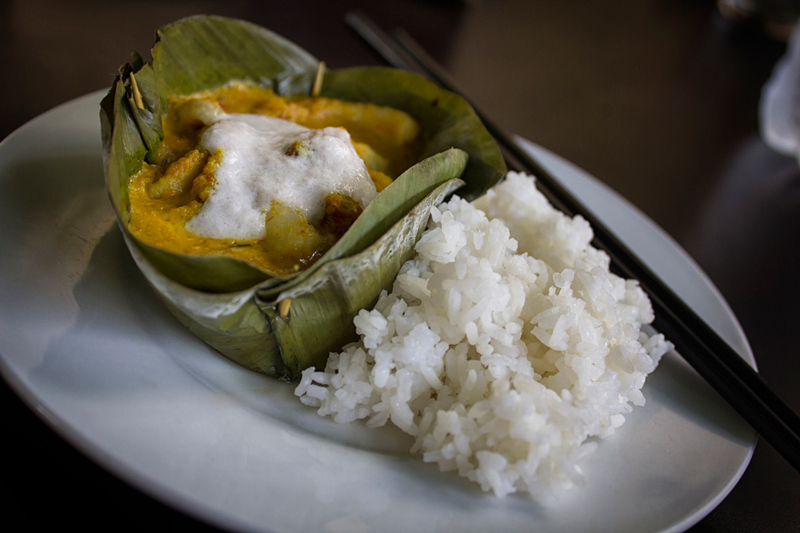 Cambodian food is really underrated and there is much more to it than tarantulas. 😉 Glad you guys enjoyed it! haha, yes definitely a lot more than just tarantulas. 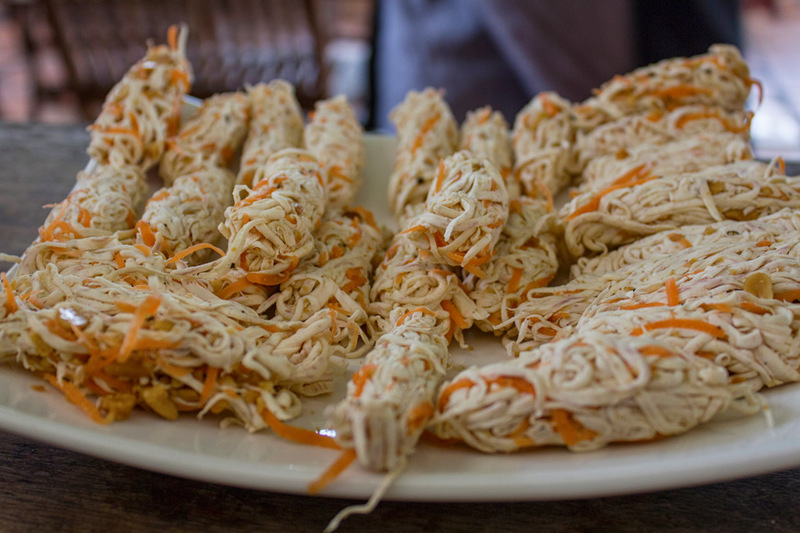 I enjoyed every dish I had in Phnom Penh and I can’t wait to try to recreate these. I love fish amok! If I go back to Cambodia that’s the first thing I’ll order! Me too, my favorite dish from there by far. Jacqui recently posted..Is it the Guacamole making The Goats on the Road so Damn Happy? I wish I had taken a class while I was there, looks like so much fun. Mmm…. it looks amazing. Glorious fried-food! We definitely need to take more cooking classes. 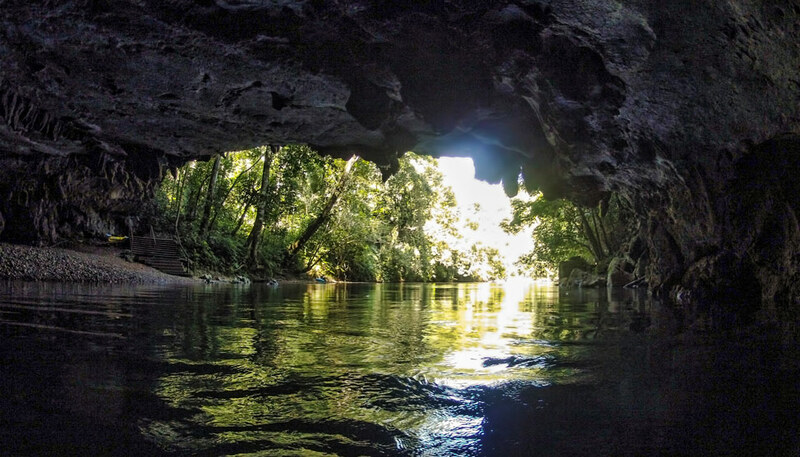 We also need to go to Cambodia! As I don’t eat fish I felt fairly left out of Cambodian cuisine, though thanks to Blue Pumpkin ice cream I certainly didn’t starve 🙂 If you haven’t tried it…. you must! Mmmmm fish amok … that was my favorite dish in Cambodia! Thanks for the recipe – I can’t wait to try to make it at home! Oh YUM. I have yet to take a cooking class in Thailand. Perhaps we should do that together one afternoon? Those spring rolls look amazing!! Mmmh, absolutely salivating looking at those pics! Very excited as I’ll be in Cambodia next month seeing in Christmas and can’t wait to see what I’ll be eating there instead of a big turkey or goose! I did something like this when I was in Phnom Penh a couple years ago, although by some strange luck, I was the only one in the class that day. (I don’t remember the name of the school but they had great reviews.) We made fish amok and spring rolls, plus a few other things, and while it was definitely interesting, a) I’m not a fan of fish, and b) we still ended up making enough for a group of people, not just me. Which meant the instructor kept trying to get me to eat more and more!